A giant, 60-plus-inch TV screen is great when you’re streaming the latest explosion-riddled The Fast and the Furious flick, but when it’s not in use, that window into adventure becomes an aesthetic black hole on your wall – a glossy jet-black mirror marked by perhaps only a fingerprint or two. Samsung’s latest addition to its television line-up is revolutionary not only because it is one of few 8K televisions on the market, but also because it features a technology called ambient mode, which the company introduced on high-end models earlier this year, that lets TVs blend into their surroundings. The 85-inch Samsung Q900 QLED is the only 8K television – meaning it has 7,680 vertical lines of resolution rather than 4K’s 3,840 – in the company’s range that you can buy this year. As nice as this extra resolution is, the lack of native 8K content means that, at least for now, the content you watch will be upscaled by the TV’s processor to take advantage of all of the extra pixels. It also uses the company’s latest high-dynamic-range technology to make colours appear brighter and more vibrant. 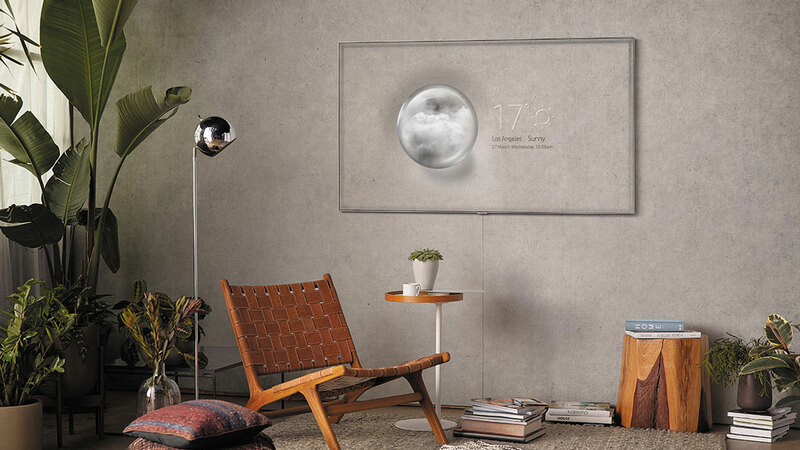 The TV’s greatest party trick is its ambient mode, which allows a user to take a picture of the wall the display is hanging from and then use the SmartThings app to upload it to the TV, which will seamlessly mimic the pattern behind the TV, making it look as though there’s nothing there at all. The same technology can also be used to display art, personal photographs or information you may need. Samsung says that burn-in (the dreaded condition in which a ghostly image of a still that was on the screen too long becomes permanently burned in) doesn’t affect its new generation of QLEDs, and the TV will turn itself off to save power if it doesn’t detect users nearby (using the Bluetooth signals from their phones) or if it is dark. 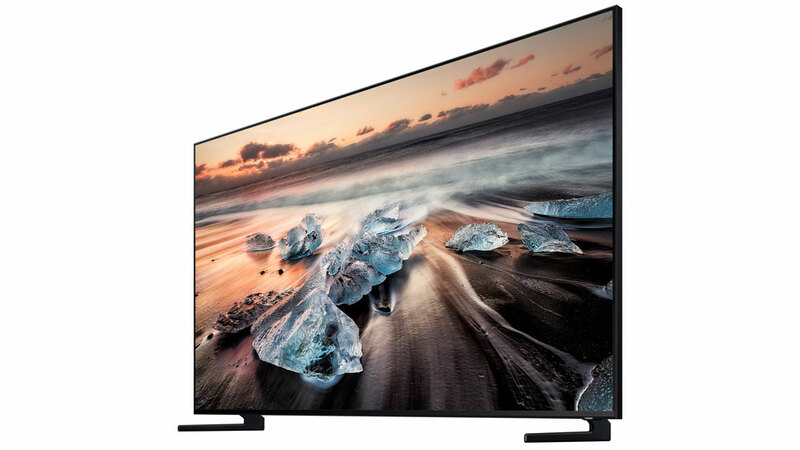 So as not to ruin the illusion created by ambient mode, the 8K Q900 QLED display connects to the rest of your home entertainment devices via a super-thin cable that carries the audio, IR and video signals. It also comes with Bixby – Samsung’s answer to digital assistants like Alexa and the Google Assistant – which allows the user to control the TV and other networked Samsung devices, like your refrigerator or laundry, with voice commands.